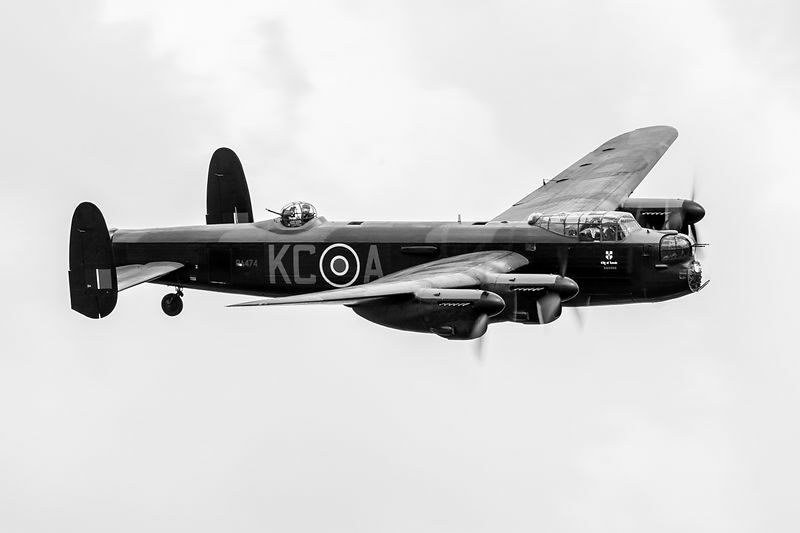 Avro Lancaster PA474, which is maintained by the RAF's Battle of Britain Memorial Flight. PA474, built in May 1945, just after war ended, is one of only two remaining airworthy Lancasters. Seen here in the livery of 617 Squadron aircraft KC-A.